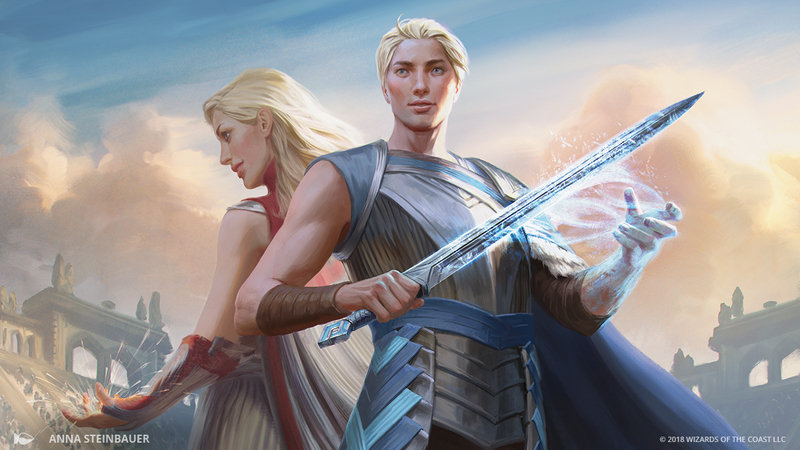 No one knows where the mysterious twin Planeswalkers, Rowan and Will, came from or why they felt the need to test themselves on Valor's Reach. But anyone who faces them in battle realizes very quickly their ability to reinforce each other's powers is a force to be reckoned with. 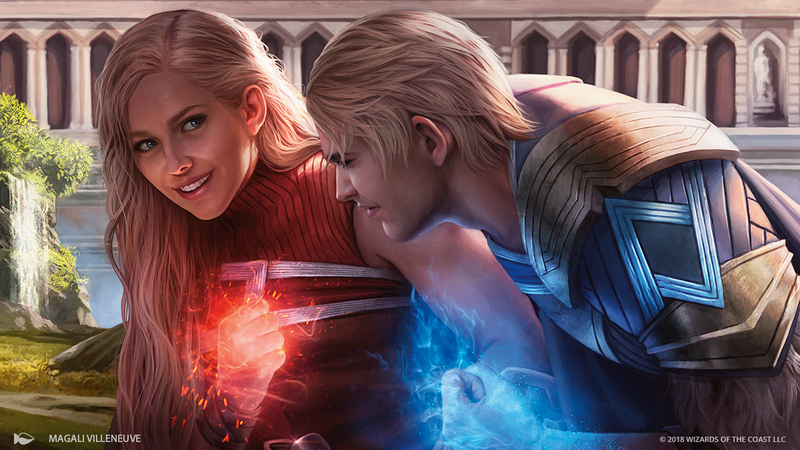 Alison shares more details about the plane of Kylem and the world of Battlebond! 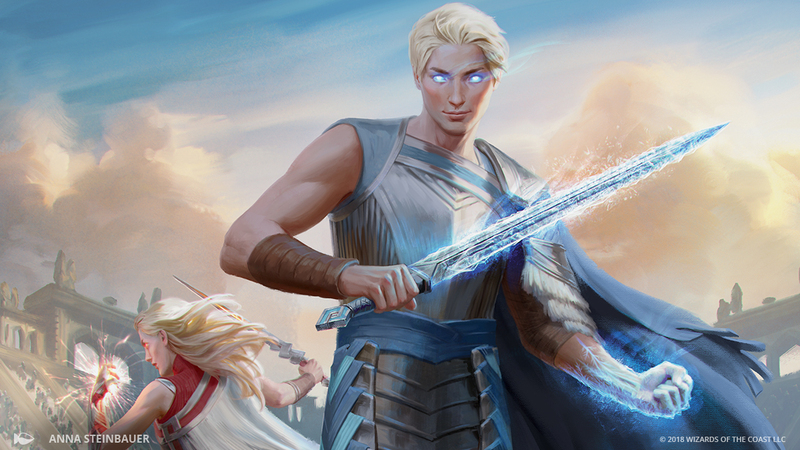 Adam steps into the arena with tips and tricks to make the most of your time in Valor's Reach! The Card Image Gallery is updated every day with the latest card previews. 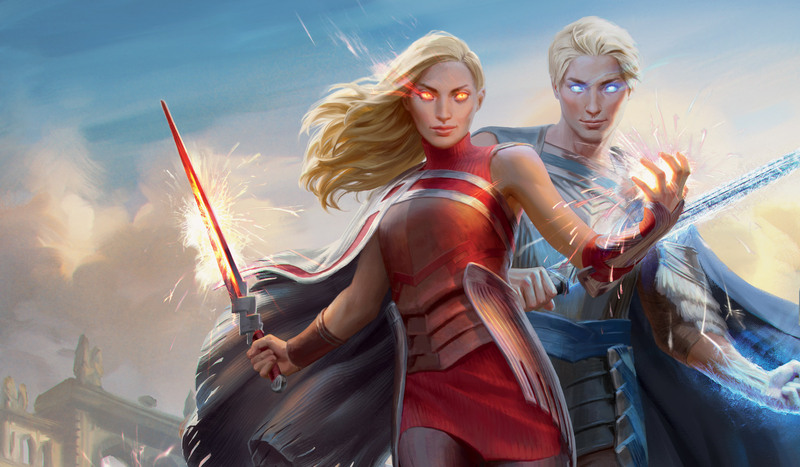 Battlebond releases on June 8, 2018. 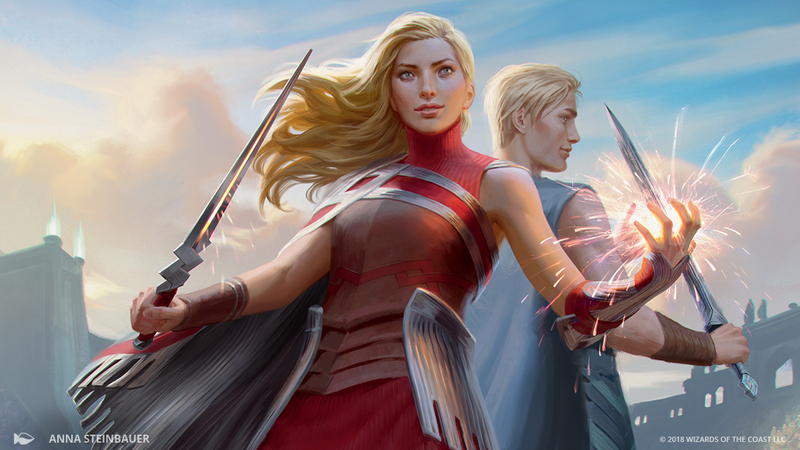 Gaby's Battlebond preview card helps you—and your teammate—find your best creatures and get them onto the battlefield. 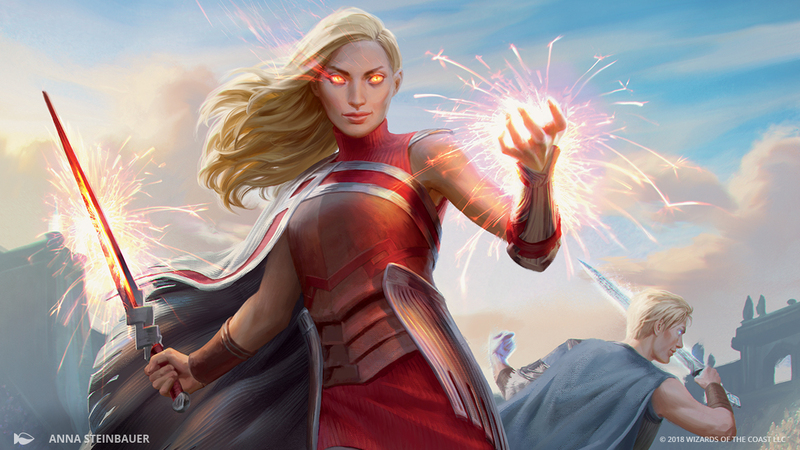 Quinn previews two heavy-hitting sorceries from Battlebond, outlining strengths and strategies within arena fighting.